…to touring the inside of a world-leading vehicle manufacturer’s factory the next? 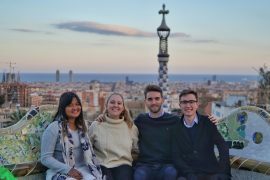 For two weeks, myself and five other QUT students had the chance to gain inside knowledge of the Australia-Japan relationship as participants in the Mitsui Immersion Program: a program facilitated by Japanese multinational Mitsui & Co. under the Australian Government’s New Colombo Plan. 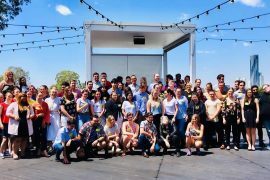 The program aims to strengthen people-to-people links by providing Australian students with business and cultural insights into one of our closest regional partners. We started our two weeks in Tokyo with team-building activities and an introduction to Mitsui’s Australian business activities. In Japanese, Mitsui & Co. is known as a ‘sōgō shōsha’: a general trading and investment company. Mitsui has investments in Western Australian iron ore and salt, Queensland coal, and forestry. Many of these operations are in partnership with major Australian companies. Throughout the week, we had opportunities to look at these operations in closer detail and better understand the scope of Mitsui’s operations in Australia. We had access to company staff with years of experience and the chance to ask questions on their respective business areas. Our first site visit was to the Tokyo Edo Museum. Past the hustle and bustle of a city with close to half the population of Australia, there is still a strong traditional side to Tokyo. The museum revealed some of this rich history and the role Mitsui has played in Japanese society. Starting out as a seller of kimonos, the company has expanded and evolved over nearly four centuries. It now has investments and business operations across a number of industries in 66 countries. 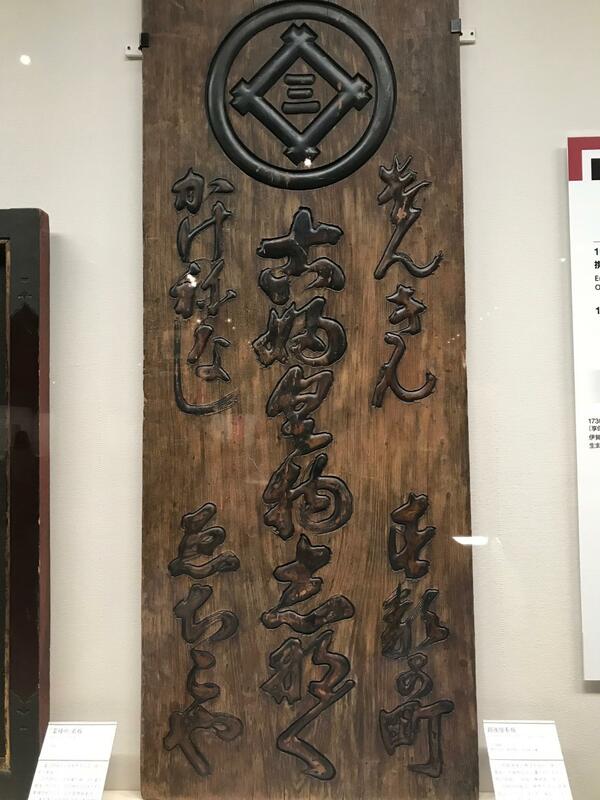 Replica of an early 1800s signboard from the Mitsui Echigo-ya dry goods store. Mitsui’s ‘three wells’ logo can be seen at the top. On Thursday, we had an interactive session with students from the Tokyo University of Foreign Studies. Over bentō boxes and snacks, we discussed how Australia and Japan can cooperate on shared issues and interests in the future. Our topics included technology, aged care, and regional development. This was a highlight of our time in Tokyo, as we were all looking forward to getting to know Japanese university students. On the final day of week 1, we were split into teams and addressed questions about Mitsui’s Australian business operations. What we had learnt culminated in presentations to Mitsui staff. The first week was challenging but rewarding. I gained real-world business insights I would not have been able to find anywhere else. Having first-hand, relevant exposure to a company directly engaged in trade with Australia was something you can’t get in a lecture hall. Our time in Japan wasn’t all work. Over the weekend, we took some time off and caught a train to the town of Hakone, about two hours from Tokyo. Hakone is next to Lake Ashi and has a view of Mount Fuji on a clear day. Going from a city the size of Tokyo to a quiet little town was a nice change in pace and a chance to unwind. 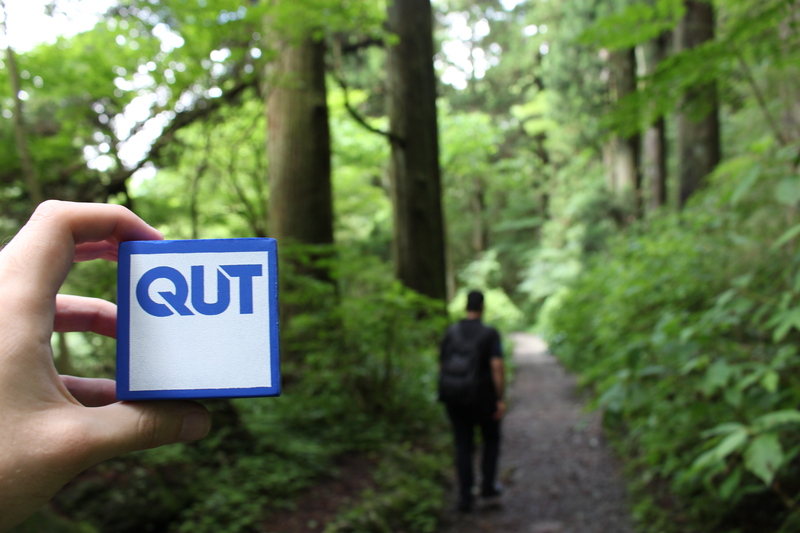 Strolling through the forest surrounding Lake Ashi. In our second week, we started getting into the practical side of Mitsui’s business operations. 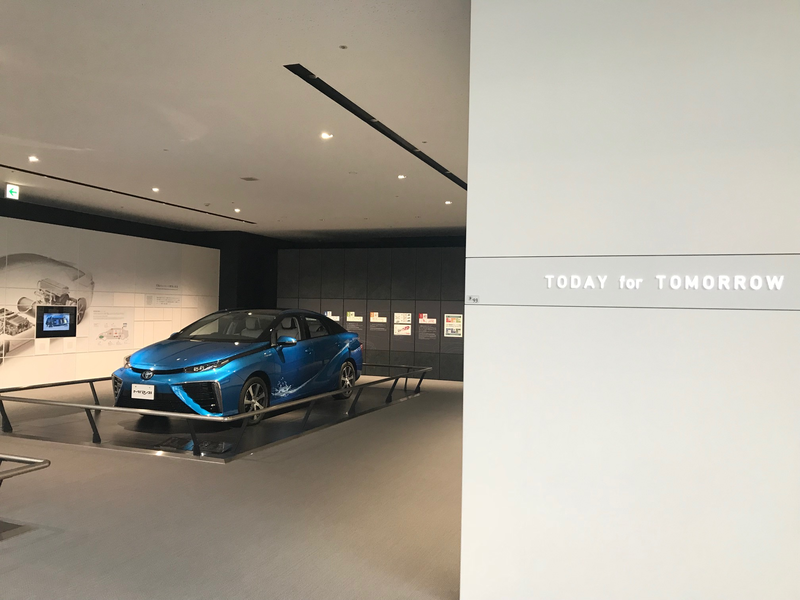 This included visits to Kimitsu steel mill, Kashima port, the Toyota Commemorative Museum of Industry and Technology, and one of Toyota’s factories in Nagoya. We made our way to Nagoya by bullet train for Toyota site visits. 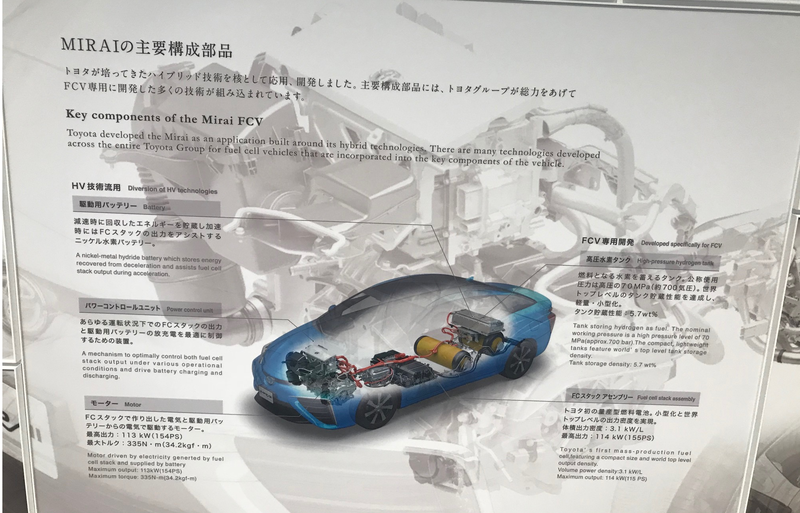 Mitsui has strong, long-term partnerships with many Japanese companies, and we had the chance to learn more about its cooperation with Toyota in supplying inputs to production. Studying international business, I’ve learnt to appreciate the impact that culture can have on business practices. Toyota’s slogan of ‘Good thinking, good products‘ shines through in their approach to innovation. The Toyota Mirai: a vehicle powered by hydrogen fuel cell technology and a great example of the company’s innovative designs. Illustration of fuel cell technology. I’ll leave this one to the engineering students to figure out. The company’s evolution from a textiles manufacturer to a world leader in vehicle technology was impressive to learn about. Mitsui’s and Toyota’s expansions into industries completely different from their original market is a common thread in the two companies’ histories. The Commemorative Museum is very interesting and it’s definitely worth a visit. 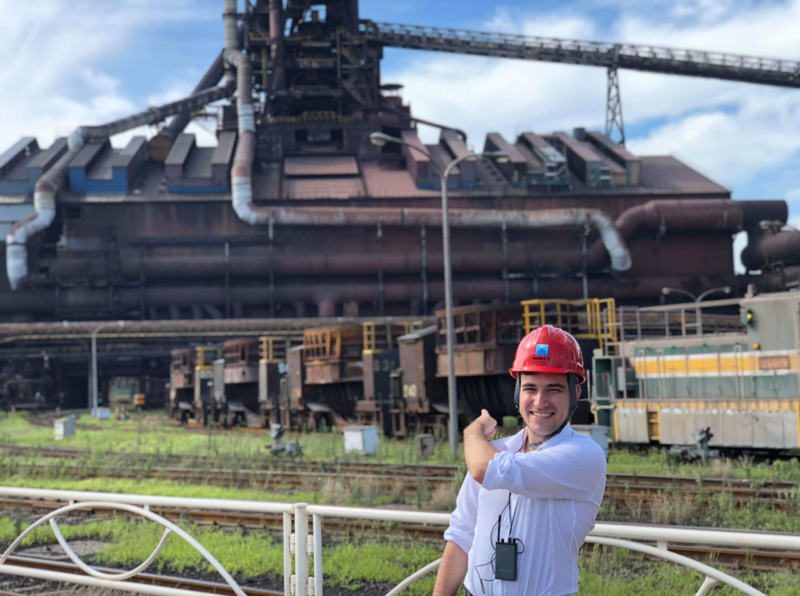 At the Kimitsu steel mill and Kashima port, we had a snapshot of the supply chain between Australia and Japan in the export and import of commodities like iron ore and coal. Seeing raw materials offloaded from cargo ships, stockpiled, and manufactured into steel products was one of the most interesting parts of my visit to Japan. Witnessing the scope of this operation and Australia’s role in the supply of commodities was amazing. Outside the Kimitsu Works No. 4 blast furnace. This is where Australian iron ore and coking coal are used to make ‘pig iron’: an intermediate product in steelmaking. The trains transport pig iron out of the blast furnace to steelmaking plants. Our final two days in Tokyo were spent busily preparing final presentations. We reflected on our two weeks with Mitsui and used what we had learnt to pitch ideas for where we felt the company is going in the future. With guests from the Australian Department of Foreign Affairs and Trade, Government of Japan, and senior Mitsui & Co. staff, we were all a bit nervous but motivated to demonstrate what we’d learnt from the program. 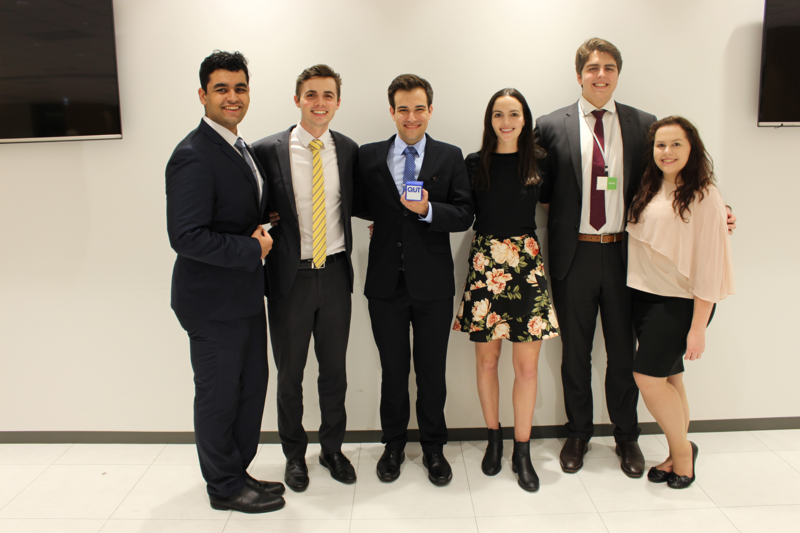 Once presentations and Q&A were finished, we headed over to Mitsui’s building for our farewell evening. 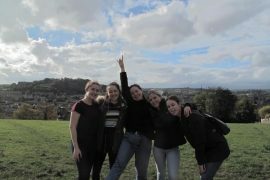 It was hard to believe that two weeks had already passed and how much I had learnt. The generosity of Mitsui & Co. and the Australian Government in offering this program is incredible. It’s great to see such a strong commitment to supporting students like us through this opportunity. I’d encourage you to consider Japan as a destination for a semester, year-long, or short-term exchange program. There’s a lot to learn, and Japan is an incredible country. Photo with the QUT participants at the farewell evening.